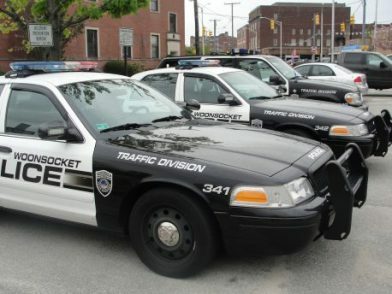 Woonsocket Police were called to 133 Providence St. at 10:16 p.m. Jan. 6 to investigate a break-in, arresting the building’s lone tenant for the crime. When officer Jesse Nunnemacher spoke with the building’s owner, Richard Blanchard, who said he’d last been at the building Saturday, then returned at 9 a.m. to find several locks had been tampered with, including one to an apartment containing several tools, according to Nunnemacher’s report. Blachard reported a $300 table saw, two bags of tools worth $500 and a small air compressor worth $200, and other tools had been taken from that apartment. When Nunnemacher spoke with the first floor apartment tenant, Raelonda Johnson, 31, he noticed a few of the items Blanchard had described, including the table saw. Blanchard confirmed the items were his, and Nunnemacher arrested Johnson, charging her with receiving stolen goods.